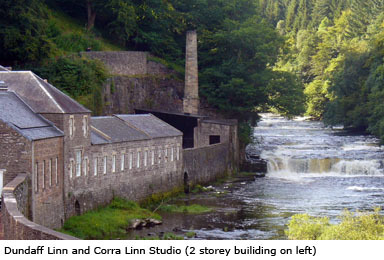 The studio is part of the former Dyeworks built in the 1780's in the World Heritage Village of New Lanark . 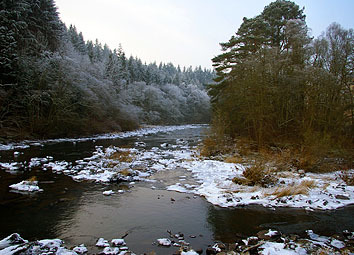 It was designed to hold one of nine large water wheels which powered the village and mills and accordingly provides a lofty, bright and airy environment with large windows commanding dramatic views over the Clyde and Dundaff Linn. 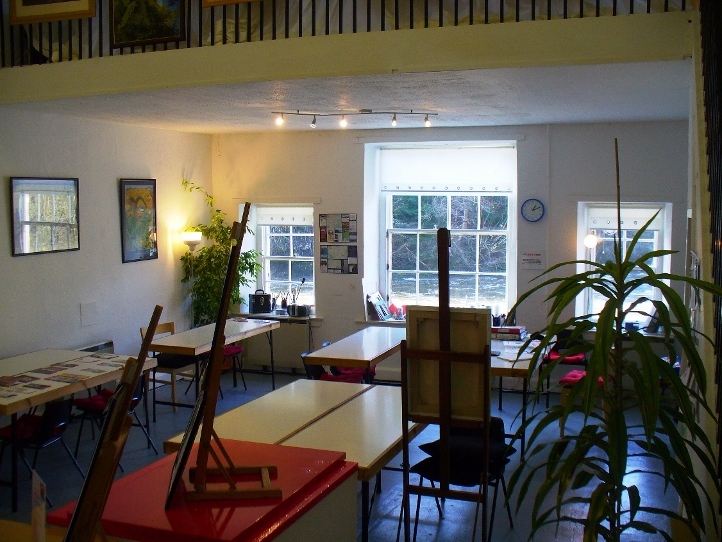 Corra Linn Art Group offers 4 friendly classes (maximum 12 in each), ranging from beginners to experienced artists. Students work in a variety of mediums and classes are held, during school terms, on Tuesday evenings, Wednesday mornings, afternoons and Thursday mornings. 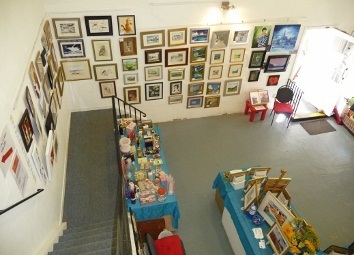 Veronica and Corra Linn Art Group members also open the studio to the public at weekends, selling original art by local artists, cards, prints and hand painted jute bags. These hours may vary as the gallery is manned by volunteers. For weekly updates see facebook.com/VeronicaLiddellArt. For all enquiries please contact Veronica.